Hi. Here is a free .png border and a free pig clip art for use in whatever you'd like. It is copyrighted. Check our my other borders for purchase! 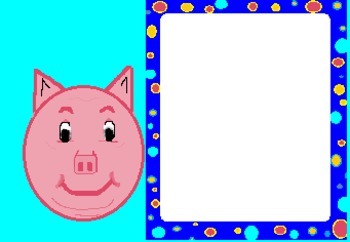 pig and border clip art is licensed under a Creative Commons Attribution 3.0 Unported License.